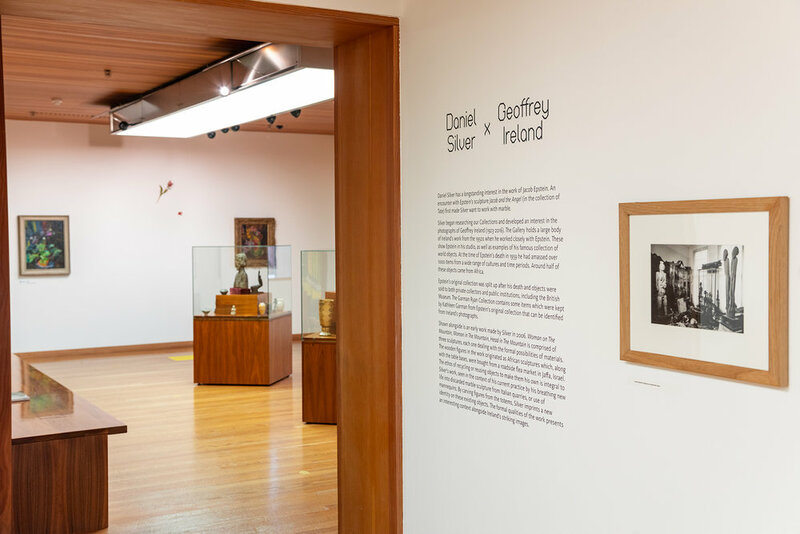 As part of the year-round celebration for Sculpture in Focus, there are temporary exhibitions including Rodin: rethinking the fragment (the British Museum Spotlight loan tour - 2 Feb - 28 April) and the first major solo exhibition of London-based artist Daniel Silver (supported by the Henry Moore Foundation - 8 Feb - 2 June).⁣⁣⁣ More info and programme available online through NAGW website/ Issuu here. I looked to the fabric of the building and materials of the works as starting points for the design (hello gorgeous concrete and frosted perspex) and I played with focus/blurring of images to reveal only sections of the sculptures, creating a design style to roll out across all of the phases of the design job (main exhibition identity, temporary exhibitions 4+). The blurring of images was also for a practical reason - and Polly Morgan’s colourful Heart Attack was perfect for this - with there being 10 works in the sculpture trail, we could not feature all 10 consistently in the designs, I reversed the zoomed-in circles you see in the print and digital design into what the printer renamed ‘the planets’ - so it doesn’t offer preferential treatment to the one artwork in particular within the exhibition interpretation’s introductory panel. The yellow outline / shape is the New Art Gallery Walsall logo shape, and there are arrows to indicate you can follow a sculpture trail. 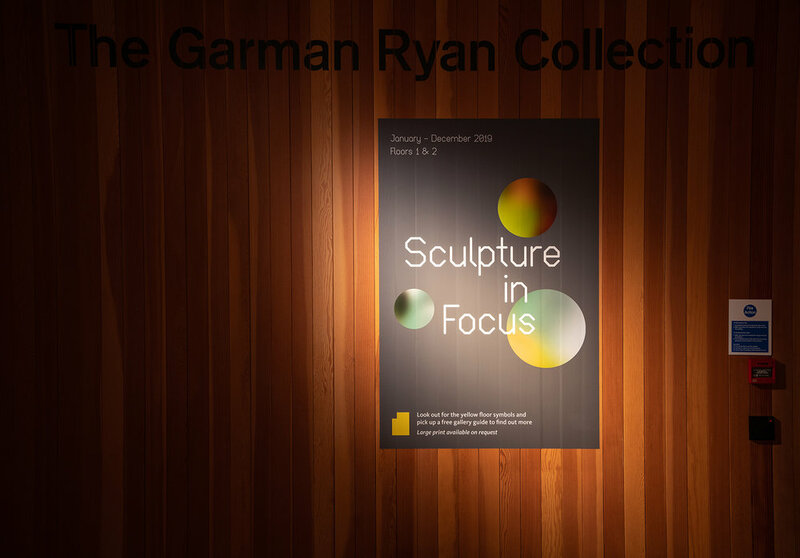 The fold-out concertina gallery guide contains the exhibition information and greater context for the work within the thematic rooms within the Garman Ryan Collection. In addition to the exhibition interpretation you’ll spot my fingerprints on promotional marketing GIFs and posters. Photos by Jack Spicer Adams - do not use without permission.